Caprese salads, pesto dips, and focaccias, they all have one extremely important ingredient in common: olive oil. 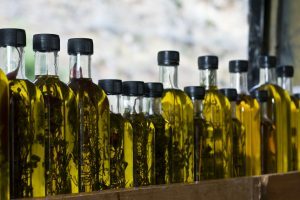 Even though olive oil has become much more easily available in recent years, there is still little information available about it. 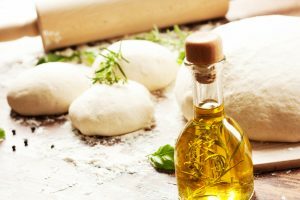 Therefore, in this article, we will help you go beyond the simple categories of “extra-virgin olive oil” and “pure olive oil,” and help you choose the best one for yourself. 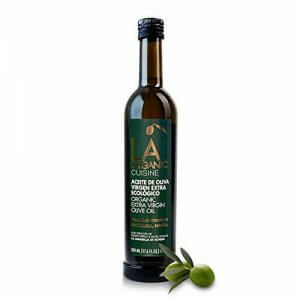 If you’re someone who enjoys Mediterranean cuisine, then having the best kind of olive oil is a necessity for you. We will talk about all the things you need to keep in mind to choose the best olive oil for yourself from among brands like Borges, Disano, Figaro, etc. We shall also give you a list of the top 10 best olive oils you can buy online in India, so you don’t have to waste time going to the market either. It’s not all about brand names when it comes to choosing good quality olive oil; there are a few other things you should check for when you’re on the hunt for the best one. While we all know there are different types of olive oils, not many of us know what each type is supposed to be used for, and what the differences actually are. 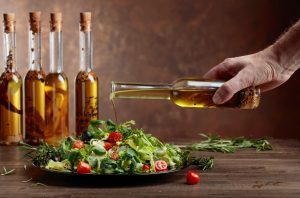 There are so many articles that claim that cooking with olive oil can help you reduce cholesterol levels and keep your heart healthier, however, what these articles often forget to mention is that they’re not talking about extra virgin olive oil. Extra virgin olive oil is the best quality of cold-pressed, unrefined olive oil available and should never be used with heat. Rather, extra virgin olive oil should be reserved for dressings, dips, or to use as a condiment. It has a strong flavour and aroma, and it’s full of nutrients, but all these qualities that make it so expensive disappear when it is heated. Additionally, it has a low smoking point as well, so it really doesn’t make sense to use this oil for frying, deep-frying, and other such purposes. Pure olive oil can be a difficult territory to navigate as its name contradicts with its composition; this oil contains a mix of extra virgin olive oil and refined olive oil (oil that has been derived using heat and/or chemicals). Therefore, it is not exactly as pure as it might seem, and its flavour, as well as its aroma, is much lighter than that of extra virgin olive oil. 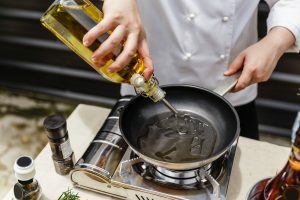 Since it consists of refined olive oil as well, it is not as expensive to make and can be used for pan-frying and grilling as well. As mentioned earlier, it doesn’t have a really strong scent or taste, so it can be used to cook dishes from all types of cuisines. Although, we still wouldn’t recommend using this to deep-fry things, as that would take away the few nutrients that it does have. Do not take “light” anything at face value; it’s most likely a clever play of words to mislead the consumers. This is especially true for light olive oil; it doesn’t mean the oil is any healthier, rather, it simply means that the oil has a lighter aroma and flavour. Light olive oil is a refined oil that is procured with the use of heat and/or chemicals, so isn’t the most nutrient-rich option either. There are some dishes though that do no require flavourful and aromatic oils, such as cakes and certain bread. Therefore, for such cases, light olive oil becomes the perfect option, as not only is its flavour weak, but it also has a high smoke point. If you’re looking for a relatively healthy oil to use while you’re baking, then this is a great choice for you. Packaging may seem like an unnecessary aspect to look at, but in order to make sure that your oil stays in top-notch condition, you should consider the following two things. The best way to store olive oil is to keep it in glass bottles or stainless steel tins, as both these materials are much less reactive compared to plastic. If olive oil is stored in plastic containers for several months, it can cause reactions, forming toxic substances like polyvinyl chlorides. The containers should also not let any air enter, as constant exposure to air can make the oil go rancid. Another important factor is that the bottles or tins should be either tinted or opaque, as this would protect the oil from being exposed to light, especially sunlight. 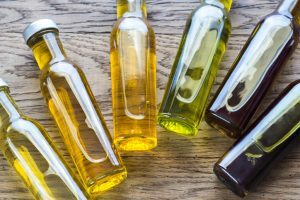 Olive oil can easily go bad if it’s constantly exposed to heat and light, so it’s important to either choose a product that comes in a dark, tinted bottle or an opaque tin or buy one separately to store the oil properly. After almost all the oil is extracted from the olives, the leftover pulp, which is called pomace, is kept for extracting olive pomace oil. Unlike cold-pressed olive oil, pomace oil cannot be extracted through pressing due to the low percentage of oil in the pomace; extremely hot temperatures and various chemicals are necessary to extract oil from the pulp. While there are several harmful chemicals that are used, the most dangerous one is benzopyrene, which is a known carcinogen (something that can cause cancer). Since the oil is made with so many artificial components, it lacks the usual flavour of olive oil as well. Therefore, although it is much cheaper, we recommend avoiding olive pomace oil. We believe you’re now prepared to start choosing, so let us dive into our list of the top 10 best olive oils you can buy online in India. We hope you will be able to find a product you like and something that suits your cooking style. The only extra-light variant on this list, this Spanish olive oil is perfect for baking bread or cake, as well as marinating meat or seafood. Since it is a refined olive oil, it doesn’t have a strong scent or flavour, so it won’t interfere with the batter or the marinade. It comes in a properly packaged glass bottle, so it’s not going to go rancid soon and it won’t break during the delivery either. Despite being a refined oil that lacks most of the nutrients, it is still quite an expensive product. In addition, even though it comes in a glass bottle, it is not tinted, so you would either have to transfer it to another bottle, or finish it quickly. The latter could be a bit hard to do if you’re not someone who regularly bakes or makes marinades, as this is a 1-litre bottle. Those looking olive oil with a light flavour and aroma that’ll not interfere with Indian dishes, but will definitely make the Mediterranean ones taste even better, should go for this. 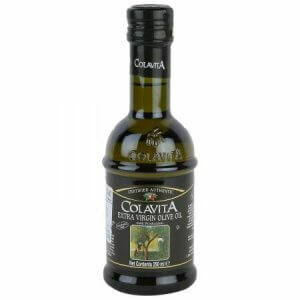 This Italian olive oil is the pure variant and works well with meat, seafood, as well as vegetables, so as long as you need an oil to saute and grill with, this could be your ally. It does come in a transparent, plastic bottle though, so you will either have to finish it quickly, or you’ll have to transfer it to another bottle, to prevent it from going rancid. Furthermore, this is a pretty expensive product, considering that this is pure olive oil, which contains both refined olive oil and extra virgin olive oil, and lacks important nutrients. If you’re looking for Italian extra virgin olive oil with a much thicker consistency than usual, but without a really strong scent or taste, then this is the one for you. It works incredibly well for beginners, who’re not yet used to how olive oil tastes, but need something that’ll work well in dressings and dips while keeping the taste light and easy. Although it does come in a transparent, plastic bottle, so if you don’t use it quickly enough, or transfer it to another bottle, it could go rancid. Additionally, as mentioned earlier, it lacks the typical scent and flavour that extra virgin olive oil is renowned for, so if you’re looking for that, then this isn’t the right product for you. This extra virgin olive oil from Spain is for those who’re not only looking for something to add to their salads and grilled vegetables but also something they can use in place of butter with dishes like paranthas and dal. It has a strong flavour and a wonderful aftertaste and works really well as a dip for various sorts of bread as well. It could seem a bit on the expensive side though, as the size of the bottle isn’t too big. The small size may work well for those who do not use olive oil very often, but if you’re someone who uses it frequently, then this would not suffice for you. Additionally, although the bottle is made of glass, it is not tinted, so you would have to be careful how you store it. 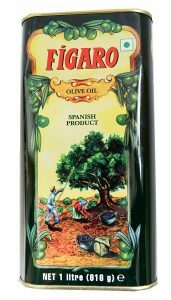 Those looking for Spanish extra virgin olive oil with a slightly lighter taste should go for this one. It’s great for making salad dressings, dips, and also for using on bread. It has a fruity olive aroma, so it’s recommended for those who’re not the biggest fans of a strong olive taste but love the scent. It’s also one of the more inexpensive options, so you don’t have to break the bank to buy it. The bottle is a transparent, plastic one though, so you would have to make sure that you store it in a dark place. Furthermore, since the taste is quite mild, if you’re someone who enjoys strong flavours, then you’ll end up adding a lot more of the oil and run out of much more quickly, so we wouldn’t suggest this for you. If you’re looking for extra virgin olive oil from Italy, with an aroma so strong that it’ll make you wonder if you’ve been transported to an olive plantation, then this is the one for you. It comes in a dark, tinted glass bottle, so it will retain its flavour and fragrance for a long time. Since you won’t need to use a lot of it, it won’t run out easily either. You do need to spend a little bit extra on this, so if you’re on a budget, then we wouldn’t recommend it to you. In addition, the consistency of this oil is slightly thinner, compared to most of the other extra virgin olive oil on the market, so if you’re someone who prefers oils with a thicker consistency, then this wouldn’t be right for you. This Spanish olive oil is the one for you if you’re looking for something that you can use for pan-frying vegetables or grilling meats. It feels really light and is a much healthier choice compared to vegetable refined oil. It doesn’t have a really strong olive fragrance or taste, so it won’t be a hindrance for those who usually only make Indian food. Storing it properly could be a hassle though, as it comes in a transparent, plastic bottle, which won’t be able to keep it safe from heat and light. Unlike many other pure olive oils, it doesn’t have an artificial feel to it, but it is still not the most nutritious way to consume olive oil, so the high cost might still pinch you a little. If you’re looking for pure olive oil from Spain, with a light scent that not only works well with Indian dishes but also improves the flavours of dishes when used for Mediterranean cuisine, then this is the one for you. It comes in a large tin that keeps the oil safe from both heat and light and makes sure the flavours stay intact. It’s also one of the most inexpensive pure olive oils you’ll find, especially considering the fact that it’s a 1-litre tin. Furthermore, since most of Indian cooking revolves around pan-frying and grilling, it’s really great that you get such a big tin because it ensures that you won’t run out of it quickly. This is one of the best extra virgin olive oils on the market; it’s made by a Spanish company whose olive oils have also made it to the list of the world’s 50 best olive oil rankings. It is also one of the only olive oils you’ll find in India that is certified as organic by both the European Union regulations and Spanish agriculture quality checkers. It has a really fresh and strong fruity flavour, which works incredibly well in salad dressings and dips, and it comes in a dark, tinted glass bottle, so the oil won’t go rancid easily. Although it seems a bit expensive, it offers a level of authenticity of flavour that is not easily found in India, so if you’re extremely particular about taste, then this is the one for you. If you’re looking for good quality extra virgin olive oil that won’t burn a hole in your pocket, then this is the one for you. Our number 1 recommendation comes at an affordable rate, and you get a large quantity as well, so it’s perfect for those who want to consume it regularly. It comes in a dark, tinted glass bottle, making sure the oil stays safe from light, so it doesn’t go rancid quickly. It has a fresh, aromatic flavour, which goes perfectly with dressings and dips, and as the flavour is quite strong, it can work for those who enjoy the strong olive taste. Since you only use extra virgin olive oil as a condiment, and with a flavour as strong as this, you can use it sparingly, you won’t need to worry about running out of it easily either. Olive oil has become such a popular choice recently, but it’s essential that different types of olive oils are used for their specific purpose. Therefore, we hope after reading this article, you’ll be able to distinguish between the different types and use them the way they’re meant to be used. We also hope our list of recommended products has been able to introduce you to the best olive oils on the market, and you’ve been able to judge the pros and cons for each one of them. Since they’re all available online, you’ll be able to get your hands on the one you like, without any hassles!